Level 3 – Monitoring: Updated March 7. This status will change as needed. Click this link to go to EOC Activations. With spring just around the corner, and floods threatening southern Utah, Utah Gov. Gary R. Herbert has declared March as Flood Safety Awareness Month (download the declaration here). This is a chance to dispel some of the myths about flooding and how Utahns believe they are protected. Check out the following disclaimer video. FACT: Floods can happen anywhere in Utah. FACT: Homeowners insurance typically doesn’t cover flooding from outside the home. 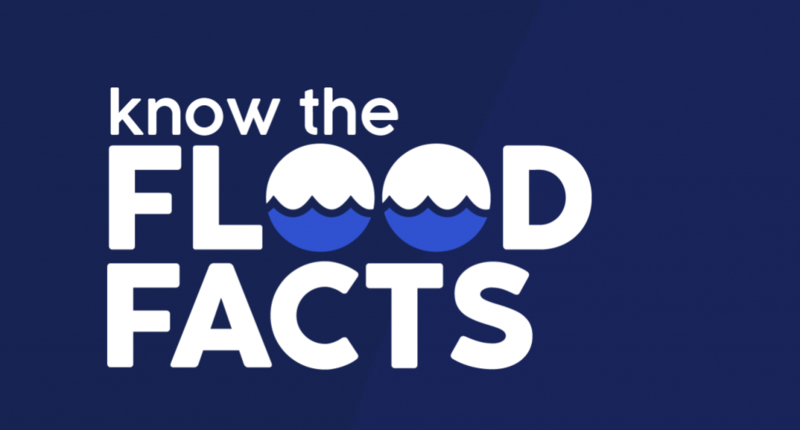 FACT: About 97 percent of Utahns don’t have flood insurance. Mark your calendars for April 18, 2019, for the eighth Great Utah ShakeOut! Nearly 1 million Utahns participated in 2018! You can still sign up your family, church group, business, school or workplace at ShakeOut.org/utah. In the mean time, you can upload photos, stories or videos to the ShakeOut website by logging into your profile. Take time to ramp up your preparedness by visiting our BeReadyUtah.gov program. Since 2012, 6.6 million Utahns have participated in the Great Utah ShakeOut. You can also download your own banners to display on your website, blog or Facebook page from the Resources section of the site. Want to know who’s participating? Here’s the list. In 2017, Utah DEM achieved accreditation for the third time. Accreditation is valid for five years. Utah DEM became a WRN Ambassador in 2015. Your organization can, too.